Keep track of who’s in your group easily! Depending on the member that you’ve selected, you’ll get different options of what you can do with each member. There can be multiple owners of a group and only teachers can be granted ownership. Owners can manage group settings and members, and annotate any PDFs and images in the group. 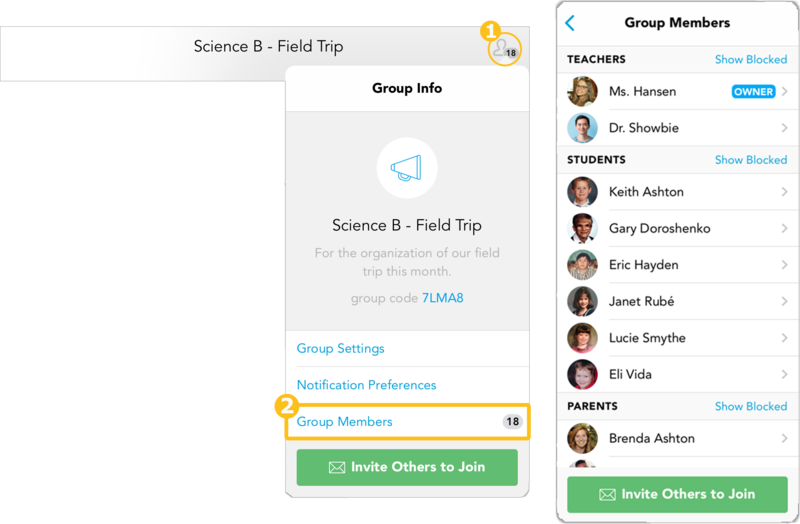 Select your own name in the group members list and to get the option to leave the group. You’ll be able to rejoin via group code/invitation. You can only leave the group if there’s at least one other owner of the group. To unblock a member, tap on Show Blocked and scroll down to the bottom of the list. Select the member to unblock and tap on Unblock from Group.